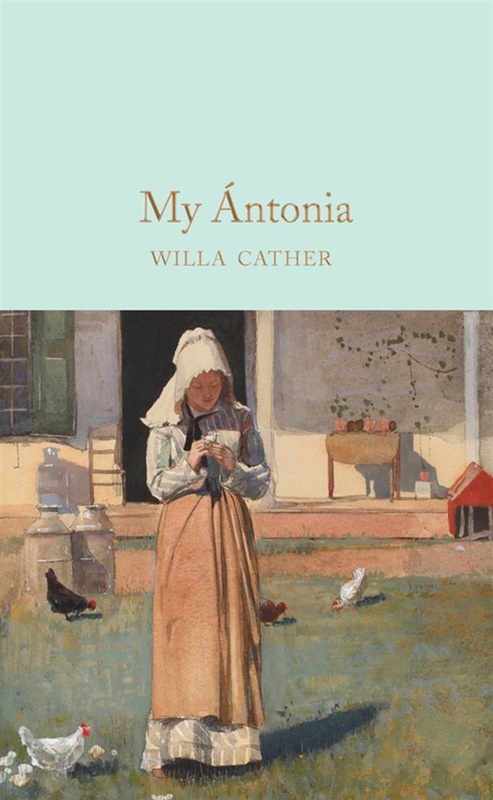 Set in rural Nebraska, Willa Cather’s My Ántonia is both the intricate story of a powerful friendship and a brilliant portrayal of the lives of rural pioneers in the late-nineteenth century. Part of the Macmillan Collector’s Library, a series of stunning, clothbound, pocket-sized classics with gold-foiled edges and ribbon markers. These beautiful books make perfect gifts or a treat for any book lover. This edition has an afterword by Bridget Bennett and original illustrations by W. T. Benda. Ántonia and her family are from Bohemia and they must endure real hardship and loss to establish a new home in America. But Ántonia is never broken by adversity, and her strength and love of life stays with her childhood friend Jim for years to come, even as he leaves home to study and pursue his career. Told through Jim’s eyes, My Ántonia is a rich and beautiful novel about childhood and growing up, different cultures and the lure of home.